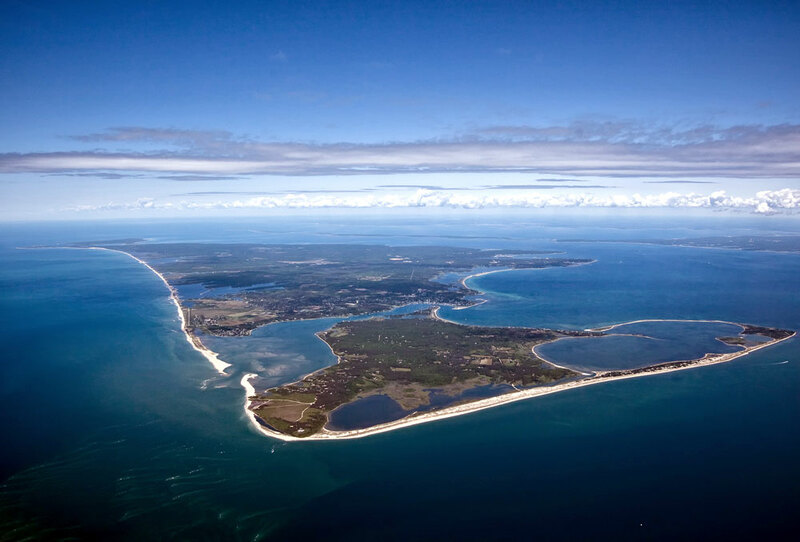 Nantucket or “The Gray Lady” as the locals call it, can sometimes be a challenge to get to in the height of the season with the population growing from 11,000 year-round residents to over 45,000 seasonal-residents and tourists in the summer months. Known for its beautiful beaches, high-end boutiques and cobblestones, Nantucket is a summer hot spot and the place to be! Luckily, there are a number of ways for you to make the journey to this highly coveted island. The Steamship Authority offers both a High-Speed Ferry and Traditional Ferry to travel from Hyannis Port. The High-Speed Ferry from Hyannis to Nantucket is roughly a one-hour trip and tends to fill up quickly as it’s one of the most popular modes of transportation to the island. Be sure to make your reservations early to secure your spot! The Traditional Ferry or “Slow Boat” is roughly a two-hour jaunt. If you planning on bringing your car with you to the island, then this is the boat for you… it’s actually the ONLY boat for you. The slow boat is the one and only way to travel to the island by “car.” See what I did there? Lol. Like the high-speed ferry, this is also very high in demand during the summer, so you will want to book this excursion as soon as reservations open for the season. This is usually in the middle of January, so keep a lookout captain! You can also catch a one-hour ferry with Hy-Line Cruises. All the same rules apply here when it comes to booking your trip, so don’t forget to make an early reservation or you will be sent to the dreaded stand-by line. This line is like standing at the deli counter six people deep in the middle of summer waiting for your number to be called and all you want to do is sit on the beach! Are you traveling from New York or the New Jersey area? Seastreak offers seasonal trips May thru September from NYC (East 35th Street) and NJ (Highlands). This is a great option if you have a fear of flying or you just want to beat the traffic. The trip from either location is a bit more of a voyage running at an estimated six-hours! So, kick back, relax and download Netflix. That’s right, wheels up! There is one main airline, Cape Air, which runs year-round to and from Nantucket from Boston and Hyannis. If you’re on the Cape and need to make a quick trip to the island this is the way to go as they offer fifteen-minuets flights from the main land. Flying out of Boston, you’re looking at about 45 minutes. Another quick option from the Cape is Rectrix Shuttles. This shuttle service also offers fifteen-minute flights from Hyannis to the island costing $70 a one way. STEAL! In the height of the season, major airlines like Jet Blue, Delta, United and American Airlines join the fleet flying locals and visitors alike to and from major cities. Whether you’re in NYC, DC, Charleston or Palm Beach you will be on Nantucket in no time! Be sure to check each airline as flight schedules will vary. And there you have it – whether it’s by ferry or plane – Nantucket waits for you! There you have it, the top ways to travel to Nantucket. So, now that you can visit Nantucket with easy it’s time to plan that summer vacation or off-season getaway!